Your smile is a big part of the first impression you make–look your best with straight, dazzling white teeth, when you have your perfect smile crafted by Dr. Fielding. In addition to being a cosmetic dentist, certified by the Esthetic Dental Education Center at the University of Buffalo’s School of Dental Medicine, he is also an accomplished pastel artist with works displayed both in the office and at various galleries. He combines his passion for dentistry with his eye for design to create smiles that leave lasting impressions. Dr. Fielding specializes in dental veneers, teeth whitening, dental crowns and more! Utilizing treatments such as whitening, veneers, crowns, contouring and bonding, Dr. Fielding is well versed in all aspects of cosmetic dentistry, as well as general dentistry. Receiving his D.D.S. from the University of Buffalo School of Dental Medicine, he also carries a Certificate of Proficiency in Esthetic Dentistry by the Faculty of the Esthetic Dental Education Center at the University at Buffalo School of Dental Medicine. 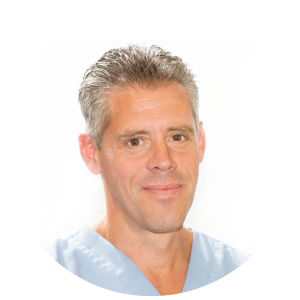 He frequently takes continuing education courses in aesthetic dentistry, and is proud to always offer the very latest in smile design. Other than being one of our five fantastic dentists, Dr. Fielding and his wife Pam have four children, and were President and Vice president of the Parent Guild at both Saints Peter & Paul School and Immaculata Academy. Besides displaying his many works in the office, he also participated in Pastel Artists of Canada’s open juried exhibition in September of 2011. He has completed two marathons and multiple local trail races, and participates in local dental mission work.